When insurance company Aflac learned that one of its district managers Steve Karas had donated bone marrow that saved the life of 3-year-old Matthew Welling, the company's corporate communications team decided it was a great opportunity to highlight the importance of the National Marrow Donor Program. Laura Kane, VP of external communications, saw an opportunity to tie Aflac's message points with the program since it had recently introduced a product that helped cover out-of-pocket fees for bone marrow registration, which Welling's family credited with stabilizing their finances. Taking that one step further, Kane also leveraged a local sports angle in that Karas was a die-hard Boston Red Sox fan, while the Wellings supported the New York Yankees. Aflac was cautious to ensure messaging didn't overwhelm the human interest angle. “Really it was about Steve saving a little boy's life and how this linked to two families,” adds executive publicist Jon Sullivan. Kane and Sullivan focused much of their early outreach on setting up interviews with Karas and the Wellings. But they also realized they needed visuals for their second message on how thousands of people were awaiting marrow transplants and that registering as a donor wasn't nearly as difficult or painful as the general public thought. Kane also brought in Aflac president Paul Amos – who had been a marrow registrant for years – and expert Ann Haight for an SMT with dozens of TV stations around the country. The coverage of the company's campaign resulted in the National Marrow Donor Program Web site receiving more than 10,000 hits, with at least 340 individuals registering as donors online after a CNN segment aired about the effort, Kane says. 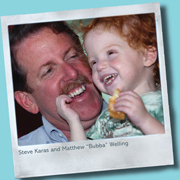 The personal story of Karas and Welling, combined with consumer education outreach, triggered a flurry of news stories. In addition to CNN, coverage included The New York Times; Fox; CBS News; and more than 85 local TV stations in New York, Washington, Dallas, and other major and mid-size markets. That, combined with segments on many radio stations, led to nearly 12 million impressions. This campaign highlights the importance of looking beyond the C-suite for CSR ideas, because it is often employees, far from corporate headquarters, that are doing good deeds that a company can highlight. This also shows the importance of leveraging multiple angles – Aflac was able to utilize the human interest angle surrounding a bone marrow donor who saved a boy's life, while also highlighting the consumer education of how easy it is to become a marrow donor, which triggered a flurry of additional stories.